A young stock broker's life starts to get drastically out of control when his ambition starts to outweigh his integrity. Meanwhile, his family and personal relationships hang in the balance. "The Price" is a movie about family drama, a son and father learning to forgive, and a mother learning to stand up for herself. No wait, it's a "Wall Street"-style finance thriller about white-collar crime. No wait, it's a romantic drama about commitment and honesty and an interracial relationship. No, actually, this is a movie about how personal drive leads to prescription drug addiction which leads to illegal drug use in an effort to stay awake and alert in an attempt gain an edge over one's competition. No, wait, that's not right...what the hell is this movie about? 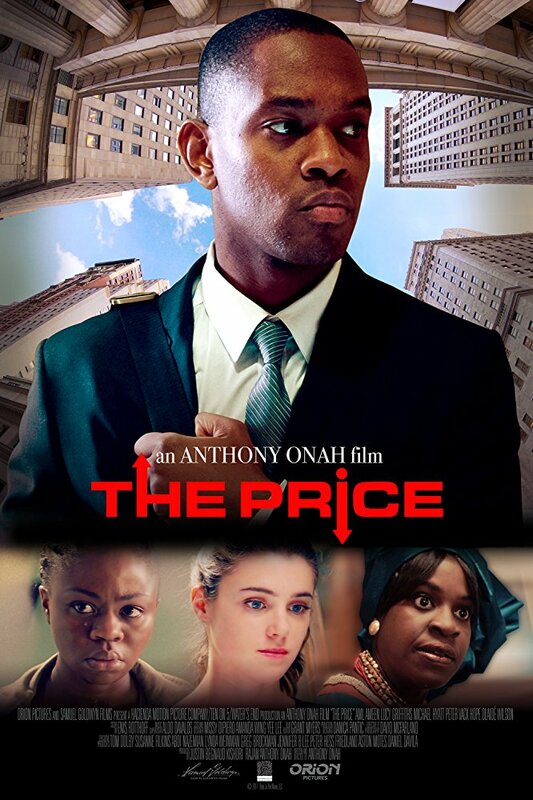 "The Price," originally titled "Dara Ju," is written and directed by Anthony Onah in his feature-length film debut. The story centers around a young stockbroker named Seyi Ogunde, played by Aml Ameen, whose ambitions eventually outweigh his integrity. As he works nonstop to gain money and power at his job, he has to deal with ongoing family and relationship drama outside of work. The main thing Anthony Onah should take away from the experience of making "The Price" is that sometimes, less is more. It's better to have a movie that focuses on one fully fleshed out idea instead a bunch of little ideas combined into one project because too many plot points will make it seem messy. The character of Seyi Ogunde is all over the place. He has a contentious father/son bond where there is a big secret they refuse to talk about clouding their relationship. Seyi is also at the center of an insider trading scandal that is being investigated by the SEC. On top of that, he starts dating a woman he really likes who was already in a relationship. Because of his job and what he does to stay alert, he keeps secrets from her and is unfaithful, which leads to a bit of a hypocrisy later on. Plus, he has a pill-popping problem as he takes illegally obtained prescription stimulants before moving on to full-blown narcotics. All of this happens while his family is pushing him to visit Nigeria to reconnect with his roots. The storyline is so muddled, so unfocused, and so all over the place that the film as a whole starts to drag to a screeching halt. Instead of adding more intrigue, which we are sure was the intention, the material becomes pretty boring and overly melodramatic. We wound up not really being pulled into the story and felt that "The Price" is an ultimately forgettable piece of cinema despite a solid performance by Aml Ameen.